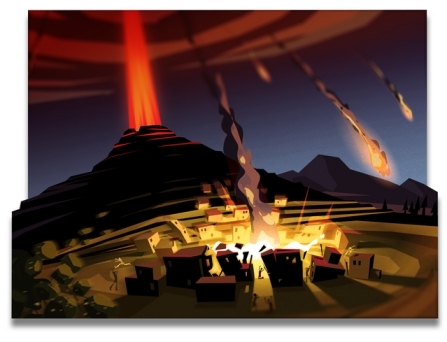 Second experiment GODUS will be a reinvention of the god game. The second experiment from Peter Molyneux's 22Cans studio has been announced. Titled GODUS, the game is a reinvention of Molyneux's classic god game Populous. The team is seeking funding through Kickstarter for the title, with a goal of raising GBP450,000 (approx. $720,000) before the crowd-funding effort ends in 29 days. "GODUS is a delightful reinvention of the god game from 22cans and Peter Molyneux, who created the genre. "It's an innovative reinvention of Populous, the original god game and delivers exciting global co-operation, competition, creation and destruction to a whole new generation..
"The dream at 22cans is to make gaming meaningful. We want to engage people in fresh new ways with accessible, delightful games and experiences. We're calling them experiments. Curiosity: What's Inside The Cube was the first of these and we're taking what we've learnt from it and applying it to future projects such as our next step, GODUS. "Populous was created over 22 years ago, and we believe that to date, nothing has come close to emulating its powerfully godlike experience. It's this experience we aim to reimagine. GODUS blends the power, growth and scope of Populous with the detailed construction and multiplayer excitement of Dungeon Keeper and the intuitive interface and technical innovation of Black & White. The original Populous hailed from the 8-bit era but GODUS will use the most modern technology the world has to offer. And you can help us make it!" - It's a living world, unique and detailed. And it's a world you influence, whether you're good or evil. 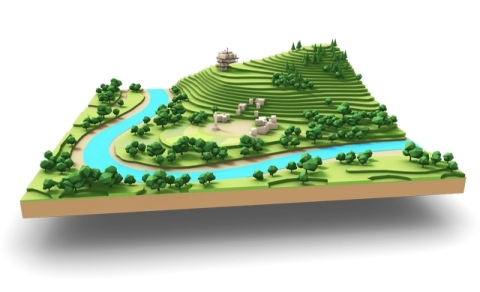 - GODUS is instantly accessible, easy to learn but immensely deep. - As you flourish and build your own cult, you'll engage in pitched battles with other gods and their cults. It's a multiplayer power-struggle the way it should be. - GODUS draws on the cunning battle-psychology of Dungeon Keeper, the living, changing world of Black & White and the instinctive, satisfying gameplay of Populous. - Plus you get to be a god. In fact, play well and you get to be the ultimate god! - GODUS will be developed for the PC and Mobile devices, we hope to be able to add more platforms as our Kickstarter campaign progresses.